Lodge Brothers & Monk in Guildford have noticed an increase in requests for locations to hold a funeral service that are neither a church or a crematorium. With this in mind, a search was undertaken to highlight suitable venues in the Guildford area. With its close proximity to Guildford Crematorium and great amenities, it wasn’t long before the Broadwater Pavilion, home of Guildford’s Rugby club, was established as one suitable location to hold and a funeral service and wake all in one place. 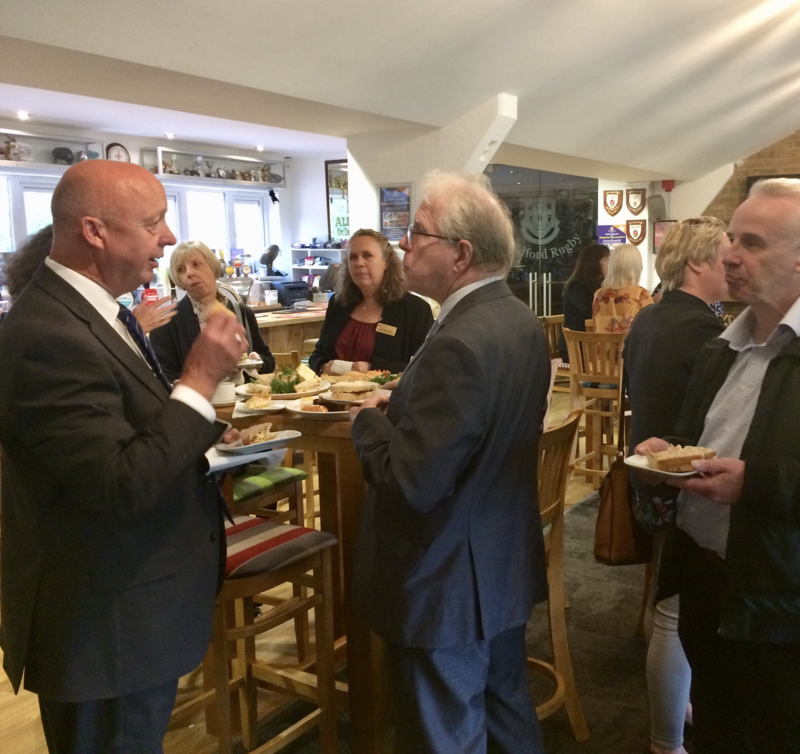 Paul Bye, Surrey Commercial and Operations Manager, arranged for 12 local funeral celebrants to attend the Broadwater Pavilion to demonstrate its suitability and flexibility for funerals, and also to sample the menu. The evening helped all involved to understand how to deliver a more specific tribute style of funeral, for more information on alternative funeral venues please feel free to contact Lodge Brothers & Monk.